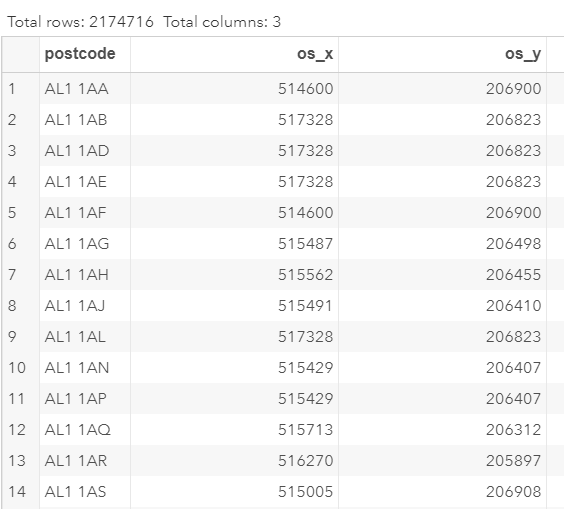 This reads in all the postcodes in England (2.1 million records). This is a fairly large file! Note: there is a warning in the SAS log due to some of the unidentified coordinates.